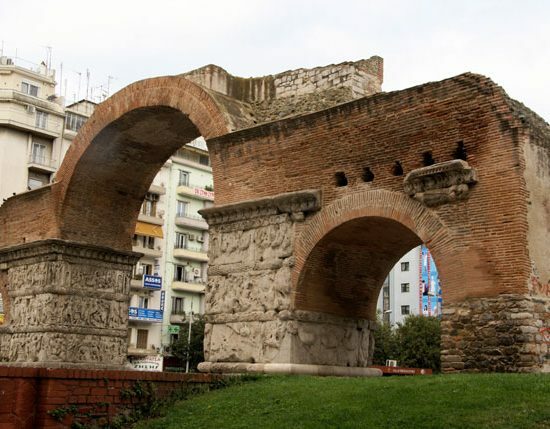 One of the most characteristic monuments of Thessaloniki is the Arch of Galerius, located on the upper side of the Via Egnatia, a short distance from the Rotunda. 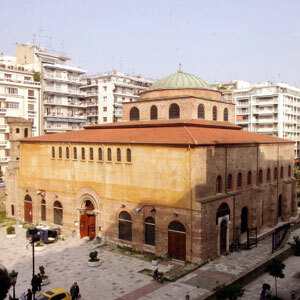 (The Rotunda is a building with internal niches, serving as a place of worship). 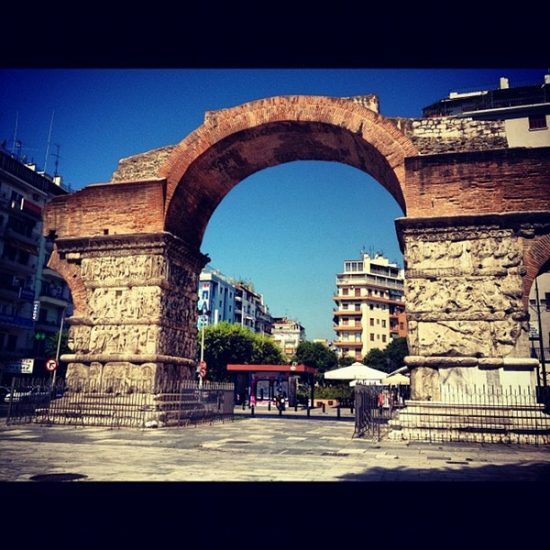 The Arch of Galerius is a glorious monument, whose purpose was not practical, but memorial and honorary. It is a triumphal arch built shortly before 305 AD to honor the Roman Emperor Galerius, after the final victory over the Persians. 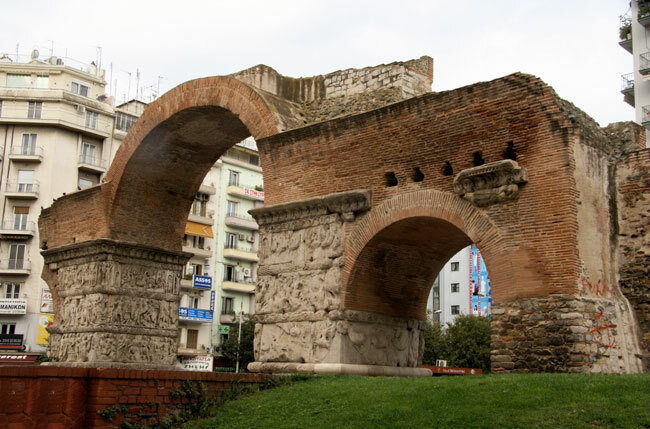 The triumphal arch that was positioned perpendicular to the ancient Egnatia, which crossed the city (west to east) forming a part of the Roman Palace of Galerius, which was developed through the current squares of Navarinou and Hippodrome. 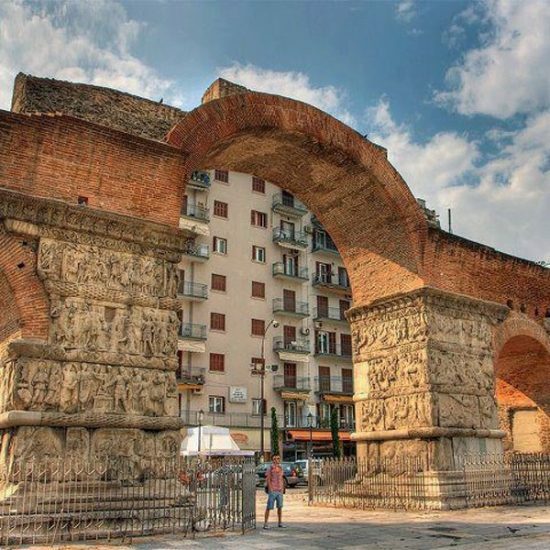 The construction design of the arch of Galerius was such as the two major roads to pass beneath it and crossed right in the middle, the current Egnatia Street and the street starting from the Arch and ending at the south gate of the wall of the Rotunda. 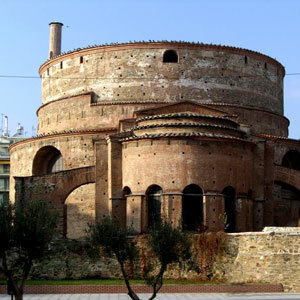 The Rotunda is part of the imperial complex built in 306 AD as the Pantheon (or mausoleum) for the emperor Galerius.